First came Memorial Day where the moving sight of flags placed on graves at the National Cemeteries stirred our patriotism. Next came the 70th Anniversary of D-Day, and, once again, July 4th is right around the corner. It is a time when many of us (I will not say all because that would be a great presumption) look at all the wars and military actions past and present and remember those who have fought for this country. Unfortunately, many of those who came back still carry the combat with them in the form of Post Traumatic Stress Disorder, or PTSD. It has had many names over the years, “railway spine” for those who survived railway accidents, “shell shock” from World War I, “combat fatigue” from World War II, and nowadays we refer to it as PTSD. According to the U.S. Department of Veterans Affairs, National Center for PTSD, “About 6 of every 10 (or 60%) of men and 5 of every 10 (or 50%) of women experience at least one trauma in their lives. Women are more likely to experience sexual assault and child sexual abuse. Men are more likely to experience accidents, physical assault, combat, disaster, or to witness death or injury” (http://www.ptsd.va.gov/public/PTSD-overview/basics/how-common-is-ptsd.asp). 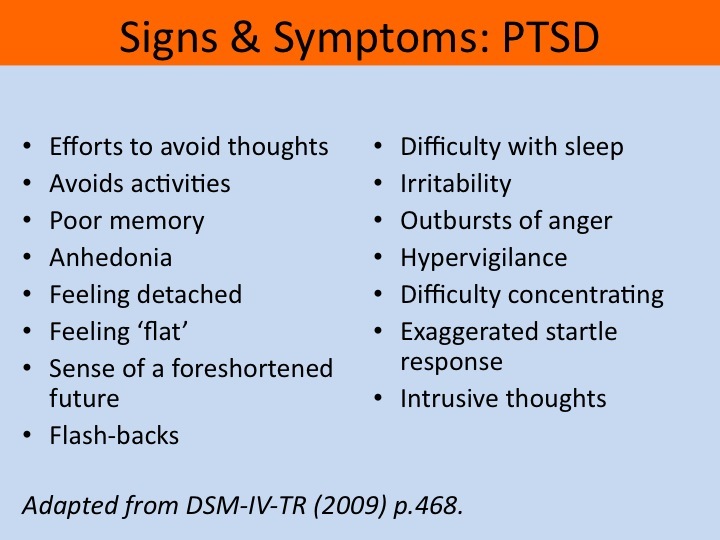 Of those percentages, about 7 to 8% will develop PTSD. However, no matter what you want to call it, the symptoms are the same for those who have experienced something traumatic. Those symptoms would include nightmares, flashbacks, intrusive thoughts or memories, hyper vigilance, increased heart rate, sweating, and an increased startle response to name a few. For the most part people try to avoid remembering the original event. Sometimes they feel shame and guilt, especially victims of sexual abuse. Although we are learning more about this disorder, there still can be a stigma attached to it, or so it is perceived. 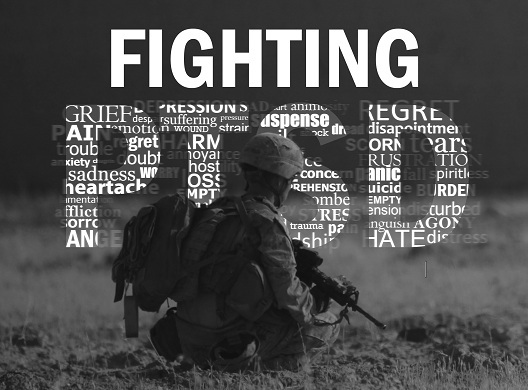 Several studies looking into the problems of PTSD, Traumatic Brain Injury, and depression were sponsored by a grant from the Iraq Afghanistan Deployment Impact Fund (IADIF). The IADIF is administered under the California Community Foundation located in Los Angeles, California. The study was conducted jointly by a RAND Health Center, the Center for Military Health Policy Research and the Forces and Resources Policy Center of the National Security Research Division. This is one of the reasons why many programs have sprung up in the past decade to help our veterans from Iraq and Afghanistan cope with the agony of PTSD. There is a belief that the veterans of those conflicts have a higher than average occurrence of PTSD, or about 8-10%. One of these programs is Rivers of Recovery. I suppose I chose this program to highlight because they are trying to quantify their data and results. Not that it much matters. I believe that any program, that is legitimately trying to do good, can help some people, some of the time. No program has the golden ticket. We are just now beginning to see the horrible effects that combat situations can place on our soldiers. I am not exactly sure why it has taken this long to realize the cost of military action, war or otherwise, but for sure before now it was mostly swept under the rug, which is why so many veterans of previous generations (Vietnam, Korea, WWII, etc.) did not get the help that many of them needed. According to the Rivers of Recovery website which is also basing its data on the RAND study, “Data further demonstrates without treatment intervention these veterans are significantly more likely to suffer from substance abuse, get divorced, be unemployed, be homeless and commit suicide. Conversely, if healthy, our country’s veterans represent an unparalleled source of leadership, knowledge, talent and skills that can help build our country’s future. Rivers of Recovery takes six to ten veterans out on a four-day fishing and rehabilitation trip. It considers itself an alternative form of rehabilitation with the hopes that an outdoor environment can encourage veterans to participate in an informal setting for talk therapy, a setting where they can build confidence and skills, which will in-turn empower the vets with the knowledge that they can build new skills and gain a sense of success. All fishing guides are licensed and the setting is such that there is minimal walking or the need to get wet. As we know, many vets may be limited physically and, therefore, the program is set up to minimize physical activity. The program is free to the participant. Donations pay for participation. Past trips go back to 2008, and this year they will be running trips from March to October. Unfortunately this year, the demand has overwhelmed the program and they have a long waiting list. This is testament to the growing need from our veterans. 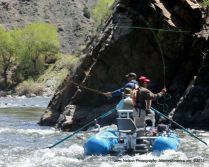 The current study represents a within subjects longitudinal investigation on the efficacy of the Rivers of Recovery Program, a non-profit organization dedicated to stress reduction for combat veterans with PTSD through participation in a 2 day, 3 night residential fly fishing retreat off the Green River in Northern Utah. Program participants underwent repeated psychosocial assessments of mood, depression, anxiety, and somatic symptoms of stress across three time periods, corresponding to 1 month prior to the fly fishing excursion (baseline), the last day of the fly fishing retreat, and a 1 month follow up assessment. 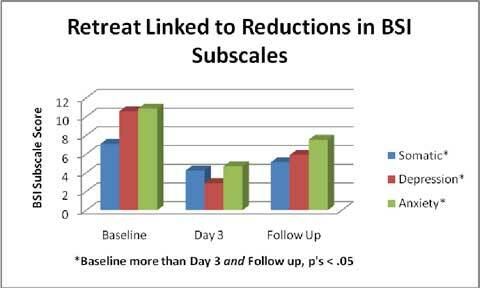 Additional psychosocial assessments of perceptual stress, PTSD symptoms, and sleep quality were administered during the baseline and follow up periods. The results are impressive. Please see the report here: http://www.riversofrecovery.org/what-we-do/medical-research/results/ . As stated above, there is no golden ticket, but programs such as this can and do make a difference in the lives of our veterans.